If it ain't broke, why fix it? 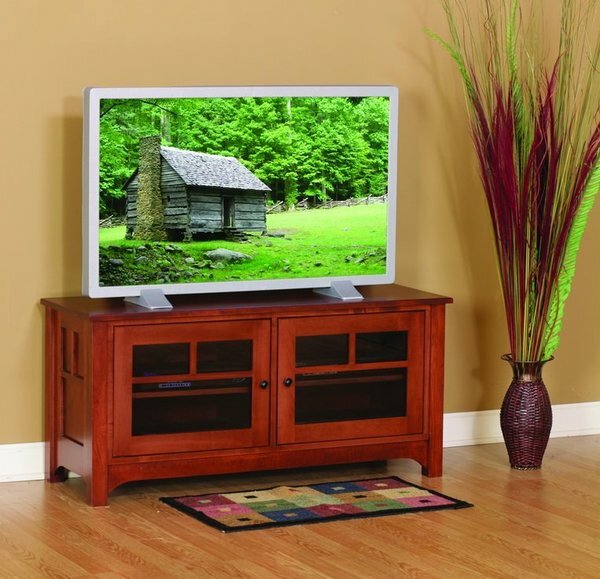 This Laurel Cove TV stand takes a leaf out of the Amish book and keeps itself simple. A strong, smooth surface provides a safe spot for a flat screen television to call home, while the two doors beneath shield shelves that are designed to store media consoles, DVDs, games, and more with ease. Subtle details - including a slight overhang on the top and an almost imperceptible tapering in the legs - add the design cues that make sure this TV stand will be a treasured part of your family's story for generations to come! Every element of this traditional piece is handcrafted to your specifications by expert Amish woodworkers, promising you nothing but the best in home-grown quality and care. If you've any questions at all, please don't hesitate to get in touch by phone or by email - we would love to hear from you!